Our people are the invaluable pillars of our deep-rooted existence. We are a strong team of focused, result-oriented and ambitious people to drive innovations through every business vertical. Our diverse backgrounds equipped with broad experience in various fields encourages us to play our parts with a difference. The secret ingredient of our successful organization is that we all work together! Often known as the Women of Power and Compassion, she is the Executive Assistant of the Group Chairman and have been recognized as Shadow Leader. With a high profile Management job, her key role is to get involved in planning long term business strategies and representing along with or in absence of Chairman in key business meetings. 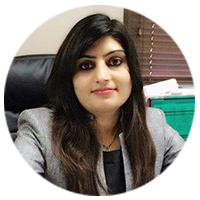 With her razor sharp mind of meticulous planning and her business acumen, she is the bridge between the Chairman and other key departments across the group to ensure proper communication and effective execution. She treads the fair line of being eyes and ears of the Chairman helping him to take well informed and balanced decisions. An expert negotiator and budgeter, Chirag Parekh generally oversees land and property acquisition by liasoning with MCGM and multiple government regulatory authorities. Having a knack for organizing documentations, business development strategies and P&L management of each assigned project. He is instrumental in establishing Group’s landmark development in Mumbai & across Maharashtra. 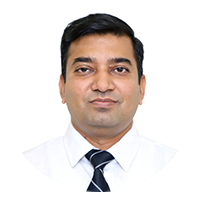 Touted as a multi-talented professional, he actively plays his part in project management, development planning, supply chain management and SAP system implementation. Being an excellent team player, he provides ingenious support to the property related functions across the region. 'Fast and fabulous' in her work with a rich experience in every nook and cranny of integrated marketing communications, she stands as an instrumental brand voice for the company. 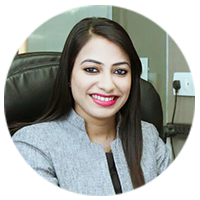 Her profound know-how in seamlessly combining marketing strategies into ultimate business goals makes her an out-of-the-box thinker & effective communicator who hits 360 degree communications with her trademark masterstroke. A result-driven personality having knacks for the next big thing in her areas of expertise. Mr. Dipak Patil heads the legal functions at Rajhans Group. With 14 years of experience under his belt, he has specialised skills in providing smooth legal support. Having hands-on experience as a senior advocate to legal advisor, his portfolio of responsibilities includes handling of land and revenue, transferring property, investigation of titles and not to mention providing day-to-day legal requirements. 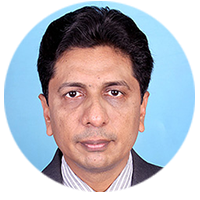 His areas of expertise span the gamut of verticals such as Realty, Entertainment, Hospitality, Confectionery, Textile and E-Commerce, wherein he also manages external agencies and stakeholders on various aspects of bid preparation, land acquisition,due diligence and several on-going legal requirements. Mr.Patil is therefore , one of the integral parts of the Group’s leadership team.